This is one of the many concerns of the BVI Christian Council of the Virgin Islands, according to its President, Bishop John I. Cline, who said the now resuscitated body has requested a meeting with the Government of the Virgin Islands. 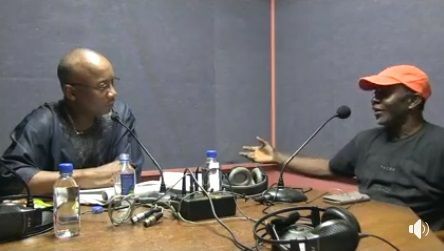 Mr Cline, who appeared as a guest on Honestly Speaking with Mr Claude O. Skelton-Cline on ZBVI 780 AM on February 20, 2018, said the Council will be meeting with the Recovery Team on Thursday, February 22, 2018, to lend their voice to the discussion on the recovery. According to the outspoken clergyman, the Council would like to see accountability by Government in the recovery phase. He added that better is needed from Government as it seems they have forgotten who they are working for. 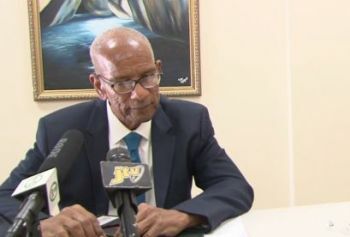 Mr Cline, the former Chairman of the BVI Health Services Authority Board, said politicians must understand that they are not the boss, “that we are the ones who decided they should be in power with our votes and we are the ones who will decide whether they go back or not, but they quickly forget that and use this mandate, this great margin of Opposition versus Government, to ignore the very people who sent them there and even treat them just minimally. “We will not sit by and accept that,” Bishop Cline said. It was stated that the BVI Christian Council was resuscitated sometime in December and Bishop Cline was asked to lead for a year. And while the members are eager to meet with the Recovery Team, the Council has also requested a meeting with Government. It said the Council has written a letter to Premier Dr The Honourable D. Orlando Smith (AL) to express its willingness to work with him and to discuss some of its concerns with the spiritual and religious aspects of the country. He said in that forum the Council hopes to express some of the sentiments of the people they lead, adding that their approach is not to be antagonistic but to be truthful. The BVI Christian Council, according to Bishop Cline, is a body of Christian churches in the VI, which he terms as a watchdog of the community and the conscience of the nation. The body is made up of the Methodist, Catholic and Anglican churches, the New Testament Church of God International Worship Centre, the Church of God of Prophecy, New Life Baptist Church and the Moravian church in the VI. “We have pulled together these group of pastors who have endeavoured to make an impact and make a change in the social, political and spiritual landscape of the VI. “The Churches on board are engaged and they are not afraid to speak truth to power,” Bishop Cline stated. Why don't he organize a march??? I am willing to bet that them will go quiet after that sweet street light contract...Any bets? And everything else will fall into place. If you really believe in God you would focus on changing the community through service not by bullying the politicians you have a beef with. Stay out of Caesar's territory and you will be all the better for it. You are stirring the pot for selfish reasons..get off the government nibbles and let others have a chance. You can help by working to help the police solve the crime problems...that is what the black and catholic churches do in the inner cities across the U.S....they do so by THE CHURCH INVESTING MONEY in community programs and not waiting on the government. That is what you all ate suppose to do with the tires that ate brought into the store house. So the church meb got kicked out the NDP circle now all of a sudden they are concerned? This NDP is the same NDP they supported and were a big part of. They didnt walk away from NDP they were kicked out now they kicking up. Its so obvious. Claude shoved his nose up at anyone that questioned his actions when he was Port Director but now he knows about respect and listening to people? Wow! He told some that they would be committing professional suicide if they dared to stand up for themselves. Disrespecting those not on his bandwagon to the highest degree. 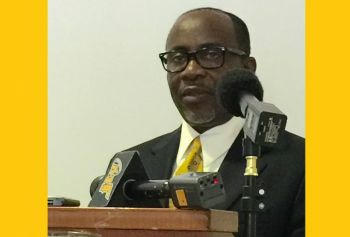 "The BVI Christian Council, according to Bishop Cline, is a body of Christian churches in the VI, which he terms as a watchdog of the community and the conscience of the nation." Where was this group when government employees were being victimized?? The government is our boss, but you put them in and never complain until now when things are out of control. Why aren’t we in the streets marching when something is not in our favor? Continual protests brings attention to the problems. Bermuda has the same problem, it may be the fact that most of the very valuable suggestions for the country are coming from the most "rual neighbourhoods". It's certain officials that classify those neighbourhoods as non factors when they have the biggest voice... Who feels it knows it.